Looking for movie tickets? 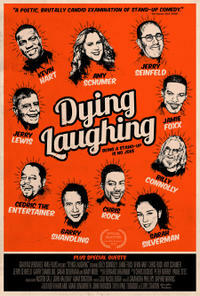 Enter your location to see which movie theaters are playing Dying Laughing near you. This week on Indie Movie Guide Alicia reviews a horror anthology by women, a documentary about comedy and shares her Oscar predictions. A stand-up comedian is his or her own writer, director and star performer. Unlike any other art form, there is no safety net. In its singular realization, comedy thrives on a stage—often in front of hostile audiences.